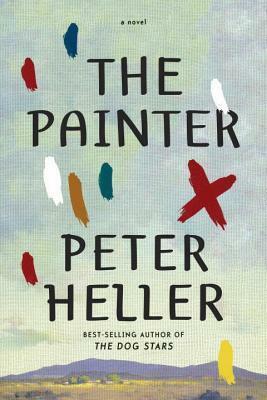 “Peter Heller, the celebrated author of the breakout best seller The Dog Stars, returns with an achingly beautiful, wildly suspenseful second novel about an artist trying to outrun his past. I prefer to review books closer to release date but The Painter is one of four books I’ve been fortunate to receive due out on May 6, 2014. And then I have two more the following week. Needless to say, May is quite the dense month for fantastic literature. What I found most compelling about The Painter, aside from heart racing chases with the men from Colorado who have a settle to score with Jim, was the combination of prose used in this story. There were gorgeously written descriptions regarding nature, art, poetry and human relationships. And then Heller would write a simple, punctuated sentence. Nothing more. It reflected Jim’s personality. Elaborate and eccentric with his art and at the same time a simple man. The intense and suspenseful encounters with the men from Colorado reminded me of a film I watched numerous times titled Duel by Steven Spielberg. It starred Dennis Weaver and was made in 1971 but the entire time you never see the truck driver’s face who eerily hunts down Dennis Weaver in a car chase. There is so much going on in this story about a man looking to simply find some stillness in his life. After loosing his daughter, recovering from being an alcoholic and a brief stint in jail, he just wants to paint, fish and find a place of peace. He is a gentle man, really. But when he witnesses injustice he can’t hold back his rage. The juxtaposition of violence and gentleness swirling in Jim’s mind was fascinating to experience. While emotional and sensitive he also had a tendency toward unrestrained impulsiveness. A talented and tortured artist. Passionate. I wanted to quote passages so badly but can’t until I check the quotes against the final printed copy! *Thank you to Knopf and Edelweiss for an uncorrected eBook copy. I was not compensated or required to review this piece. To learn more about Peter Heller, his novels and upcoming events, please visit his site here. Tags: book club picks, Contemporary Fiction, Edelweiss, Knopf, Literary Fiction, May 2014 releases, Peter Heller, realistic fiction, suspense. Bookmark the permalink.